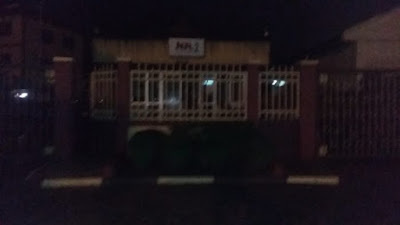 The Nigerian Television Authority (NTA) network centre on Ahmadu Bello way in Victoria Island, Lagos, has been shut owing to the flood which accrued from the rainfall of the early hours of Saturday. Major streets in the neighbourhoods of Victoria Island (VI) and Lekki were overtaken by flowing waters. This left many people trapped in their homes, while vehicles found it difficult to move. When TheCable visited the VI office of the largest television network in Africa on Saturday evening, it noticed that there were no activities. An official of the station, who spoke off the record, said the office would remain shut till Monday. “Our office has been shut because of the flood. Although the water has gone down now, the management has decided that for safety reasons, activities should be suspended until Monday,” he told the cable.